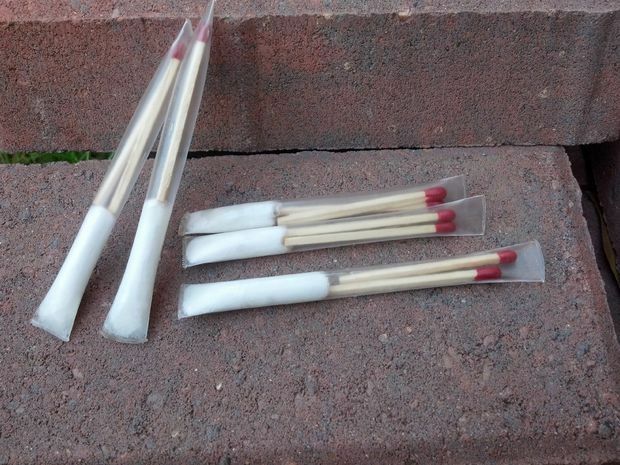 Tiny containers made from a drinking straw sealed with a cigarette lighter. 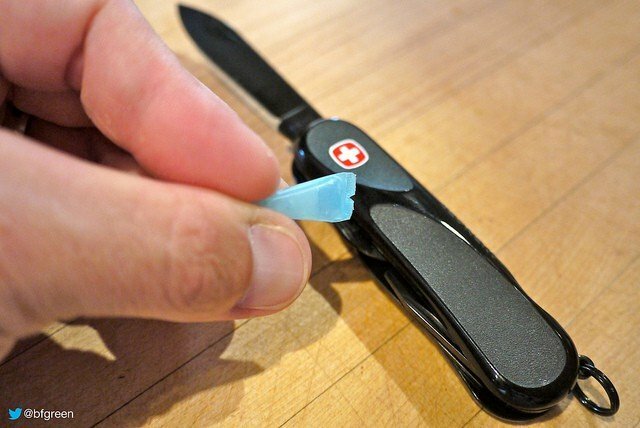 ‘Place the straw over the opening of the ointment tube and carefully squeeze in a small amount of the ointment that is approximately one quarter of an inch in length. You’ll notice that transparent straws work best for this. 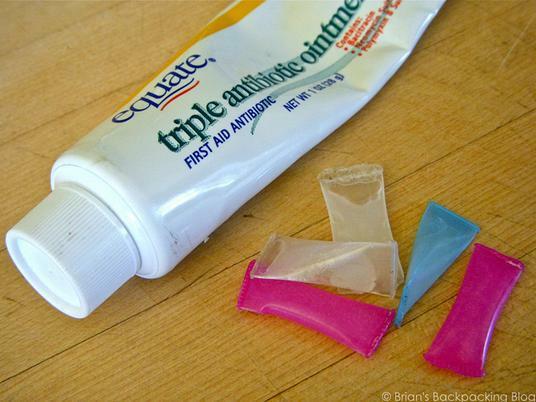 Use you fingers to squeeze the end of the straw so that it pushes the ointment further up inside the plastic straw. 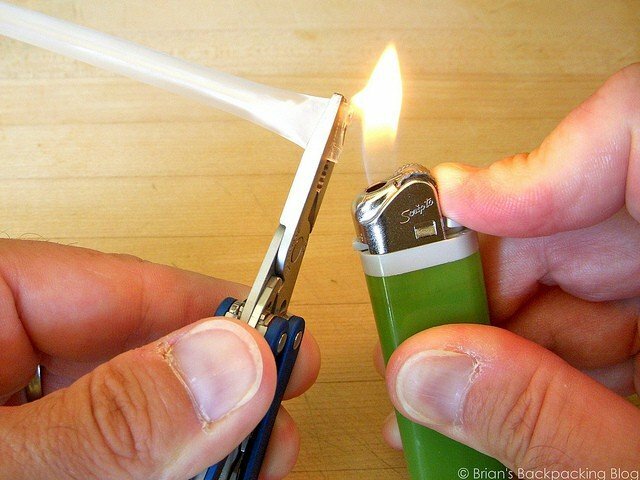 This will provide a clean area for sealing the end of the straw without having the ointment ooze out while you are holding it with your pliers. Notch can easily be torn open. What a cool idea!! I’m totally going to try it! Thanks! ?